With the summer festivities and cool mountain nights comes a stern reminder from the Carbondale Police Department to stay safe and refrain from driving while intoxicated. The reminder is especially salient here, because Carbondale sees a relatively high rate of DUI citations compared to neighboring municipalities. In the past year, there were 108 DUI/DWAI cases, with about a third of those occurring in the summer months. Glenwood Springs saw a comparable rate (181 DUIs with a population of 10,000) while Basalt had about half the rate of DUI citations (22 with a population of 4,000). It is estimated that Carbondale is leading Garfield County in 2018, having already logged 62 DUI/DWAI citations by mid-July. Part of the reason for that high number is attributable to large events that involve more people consuming alcohol. Chief Gene Schilling noted that four DUI arrests were made during June’s First Friday. “We have First Fridays every month, Mountain Fair… a lot of special events that have alcohol involved,” he said. But that factor may only go so far in explaining the trend. Another significant factor is Sergeant Robb Windham, who has led the County in DUI citations for the past four years. 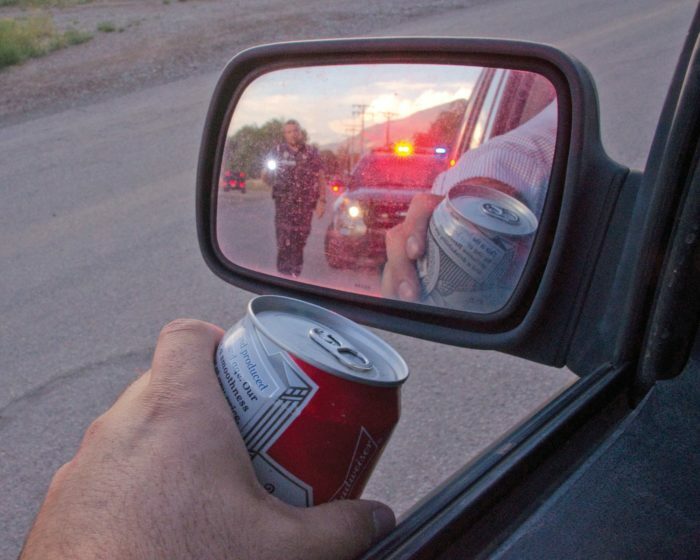 Last year, Windham was responsible for approximately 70 of 100 DUI citations in Carbondale. In addition to serving on the force in Carbondale for several years and knowing the town well, he is a certified Drug Recognition Expert (DRE). The process for certification is demanding and requires an extreme degree of accuracy in understanding the range of drugs available to the population and what effect they will have on the brain, and by extension, driving behavior. “For most of the trainings we go to, you have a sense that you’re just going to get through it and get your certificate,” said Sergeant Windham. “For DRE, they’ll boot you. You have two days to show that you are proficient.” After acceptance into the program, officers must take two weeks of classes and then complete a five-hour exam. If they pass, they must travel to a city jail and evaluate freshly arrested occupants (they willingly volunteer) who are under the influence of alcohol or other drugs. They must successfully identify the source of intoxication in 11 of 12 subjects, as confirmed by blood tests. “Once you get that higher level of certification, it makes it a little easier to spot drunks,” said Chief Schilling. “There’s clinical indicators that people can’t control,” said Windham of his tactics to identify drunk drivers after pulling them over. Windham said almost all citations begin with erratic driving behavior. Drunk drivers will drive far faster or slower than the speed limit, will run stop signs or stop several feet after them, and will even sit at green lights. Armed with a DUI Enforcement Grant through the state that pays for officers’ overtime, Carbondale’s police will be out in force during Mountain Fair and other pre-identified hotspot dates. He advised residents to play it safe and plan to take public transportation or designate a sober driver when enjoying the festivities in town this summer.